‘Build that wall?’ Some Canadians are calling for more border control, too. Candidates for leadership of Canada’s opposition Conservative Party are calling for drastic measures to halt the flow of asylum seekers fleeing the United States into Canada, including deployment of the Canadian army to detain would-be refugees as they cross the border. This get-tough approach reflects public opinion surveys that show a hardening of attitudes among some Canadians toward the asylum seekers and immigration in general, placing political pressure on the government of Prime Minister Justin Trudeau. Canadian news recently has been full of images of migrants trudging across snow-covered fields and through icy ditches, hauling small children and suitcases as they cross into Quebec, Manitoba and other provinces from U.S. border states. The phenomenon has gained momentum since Donald Trump was elected president in November. Kevin O’Leary, a reality-TV celebrity and neophyte politician who has taken a Trumplike approach to his quest for the Conservative leadership, says illegal crossings are “unacceptable” and that Canada must beef up its border security to avert a flood of refugees. “I don’t want what’s happening in Europe to happen in Canada,” he said in a recent campaign video. Saskatoon police say the call about an explosion at the court house came in after 11 p.m. on Wednesday night. According to police, some minor damage to the exterior of the building has been reported and there are no injuries. Members of the police, including the SPS Explosive Disposal Unit and a bomb detection trained SPS K9 team and of the fire department were at the scene after midnight. Saskatoon resident Scott Dempster says he witnessed the explosion after stopping with a friend to examine what they originally thought was a fire outside the courthouse while driving up 19th Street around 10:55 p.m.
Eric Clapton seen in wheelchair after announcing he has 'severe bronchitis'. Eric Clapton’s bronchitis seems to be taking a toll. The legendary musician canceled his Los Angeles concerts last weekend due to “severe bronchitis,” and he was snapped at the airport on Wednesday in a wheelchair. The 71-year-old singer has only performed two shows so far this year – both a New York City. He took to Twitter on March 24 to apologize to his fans for having to cancel his Los Angeles concerts. He announced the shows would be rescheduled for September. The U.S. Coast Guard says Canadian ships were involved in a massive cocaine bust in international waters over a 26-day period. The agency plans a 10 a.m. news conference at Fort Lauderdale's Port Everglades to discuss the interdiction of approximately 16 tons (14.51 metric tons) of cocaine. The drugs have a wholesale value of US$420 million ($562 million). In a news release, the agency says the drugs were seized along Central and South America by Coast Guard and Canadian ships sailing with an embarked Coast Guard Law Enforcement Detachment team. It consisted of 17 separate suspected drug smuggling vessel interdictions. 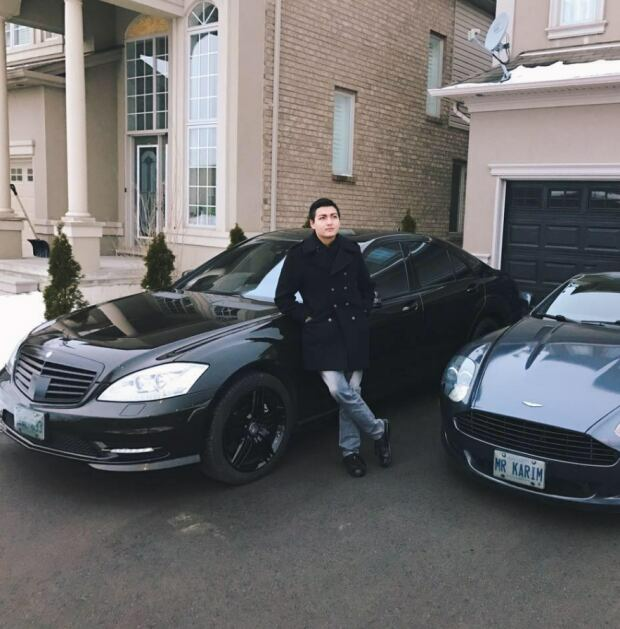 One of the alleged perpetrators involved in the massive Yahoo hack that compromised as many as 500 million user accounts purported to be a luxury car aficionado and claimed to have made his first million at the tender age of 15. According to a federal indictment, 22-year-old Karim Baratov — a Canadian citizen born in Kazakhstan — was used by Russian intelligence officers to gain “access to individual user accounts at Google and other providers (but not Yahoo)” and paid a bounty for providing them with the account passwords. The information was then allegedly used to hack into the email accounts of various political and business leaders in Russia and the United States. Baratov was arrested in Hamilton, Ontario on Tuesday, the same day U.S. officials indicted two Russian spies and Alexsay Belan, a notorious cybercriminal, who has been wanted for more than four years, and has been arrested before. Nickelodeon handed out its 2017 Kids’ Choice Awards in Los Angeles. The event was hosted by actor and WWE star John Cena with performances by Little Mix, Machine Gun Kelly and Camila Cabello. Justin Timberlake led with seven nominations, followed by Kevin Hart with six. The 2017 Kids’ Choice Awards, which are voted on by kids, this year features nine new categories, including Favourite African Stars, Favorite Frenemies, Favorite #squad and Most Wanted Pet. A staple of each KCA is the anticipated moment when green slime is splashed onto various stars. It was indeed family time at the 2017 Nickelodeon Kids’ Choice Awards as stars hit the red carpet with their kids. Blac Chyna with son King Cairo, Jordana Brewster and son Julian, and DJ Khaled and Nicole Tuck with son Asahd were spotted on the red carpet at the event. Mariah Carey and her ex-husband Nick Cannon also brought their five-year-old twins Moroccan and Monroe to the 2017 Kids’ Choice Awards. Mariah and Monroe looked cute in matching navy, Adidas dress as Nick and Moroccan looked tough in sleeveless orange sweats. Lamar Odom, Kel Mitchell, Becky G, Zendaya, Demi Lovato, John Stamos and more were also on the red carpet. When it comes to sharing surprises, Beyoncé is one person who knows how to spill the beans. She shocked the world when she announced she will be having twins via her Instagram page. 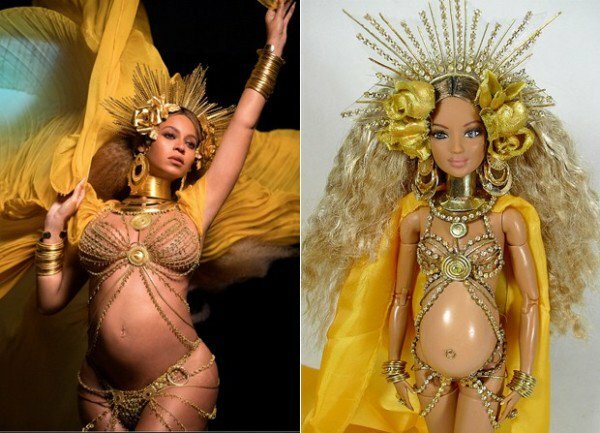 Marcus Baby, a Brazilian artist and also a super fan of the singer, took the initiative to recognize the significance of Beyonce’s achievement by immortalizing her as a heavily pregnant doll complete with makeshift Virgin Mary halo. Although it is not a barbie doll, but it comes close in quality and durability. The attention to detail is accurate, right down to Beyonce’s flexible knees and the chain link garment she wore during her performance at the 2017 Grammy Awards. Canada's unemployment rate dropped to 6.6 per cent last month, its lowest level in more than two years, as fewer people were looking for work, Statistics Canada said Friday. Several economists were quick to hail the numbers as a sign that Canada's economy is on the mend, though at least one questioned the survey's findings of a massive swing toward full-time employment at the expense of part-time jobs. The decline of 0.2 percentage points from the previous month brought the rate down to a number not seen since January 2015. The agency's February employment survey indicated the national labour market added 15,300 jobs overall last month, higher than analyst expectations. Economists had projected a gain of 2,500 jobs and the unemployment rate to stay at 6.8 per cent, according to Thomson Reuters. 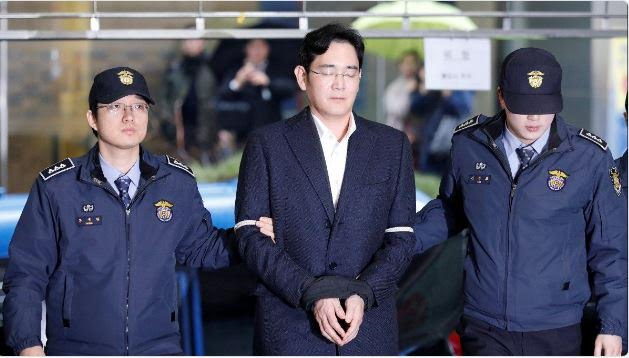 In what poses to be a big blow to the world’s biggest smartphone maker, South Korean prosecutors have said Samsung Group chief, Jay Y. Lee and four other executives will be charged with bribery and embezzlement. Lee was arrested on Friday, February 17, 2017, over his alleged role in the corruption scandal involving impeached President Park Geun-hye of South Korea. A 29-year-old man who admitted to using a fake gun during eight of his nine robberies at banks across Western Canada has been sent to prison for four years. 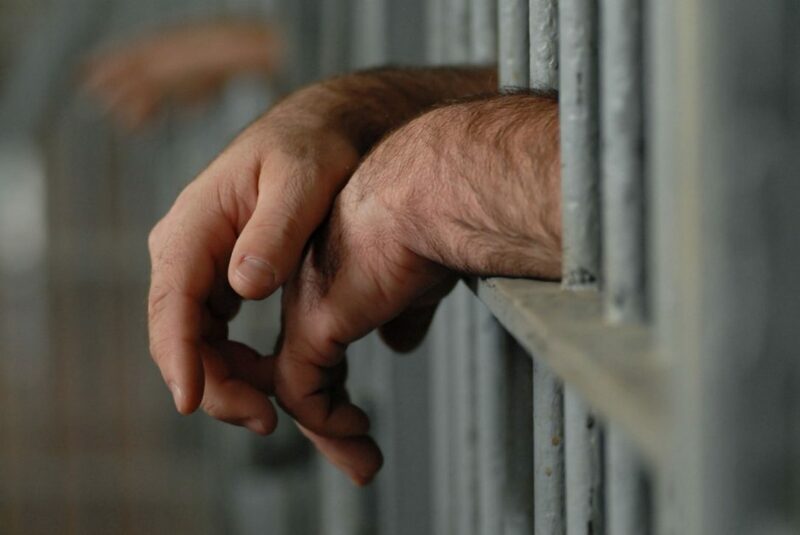 Shaun Cornish was sentenced Tuesday in British Columbia Supreme Court in Kamloops but a seven-year term was reduced by 36 months to account for time spent behind bars since his arrest in January 2015. The court was told Cornish robbed his first bank in Princeton in December 2014 and the heists continued in the Alberta communities of High River, Lethbridge and Claresholm, as well as in Swift Current, Sask. A Canadian pastor serving a life sentence in North Korea has been allowed to meet with the Swedish ambassador in Pyongyang and telephone his family. Hyeon Soo Lim, a pastor with the Light Korean Presbyterian Church of Mississauga, Ont., was sentenced in December 2015 by a North Korean court to life in prison with hard labour for what it called crimes against the state. Swedish Ambassador Torkel Stiernlof says he met Lim for 40 minutes last week. He said they discussed Lim's health and other matters, but refused to comment further. The ambassador said in an email to The Associated Press on Wednesday that he and Lim "weren't rushed." He said there were two North Korean officials in civilian clothes and an official photographer present throughout the meeting, which was held in a conference room at a Pyongyang hotel.